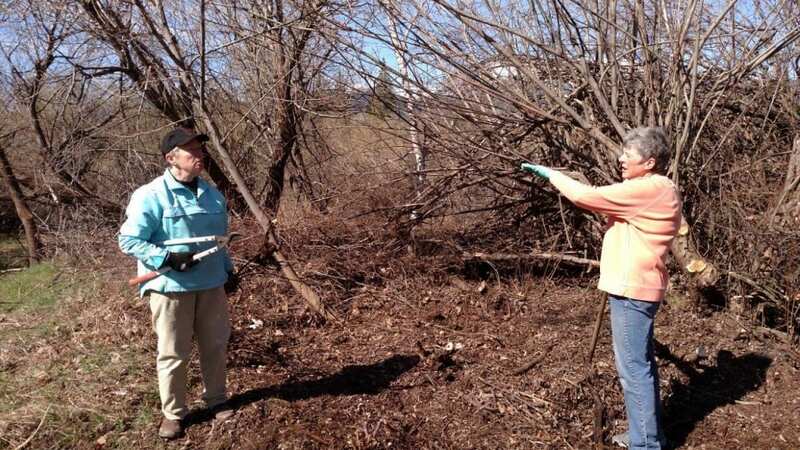 On Monday April 3rd, a group of Trail Association volunteers cleaned up the upper end of Sisson Meadow by the library. 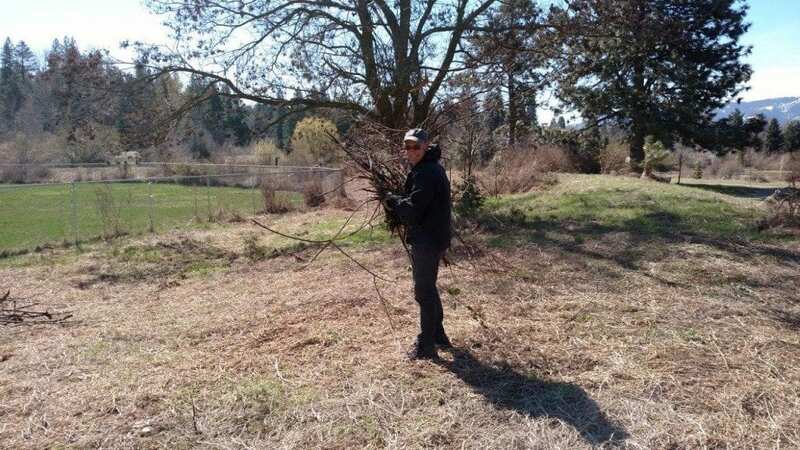 The winter storms had resulted in lots of broken tree limbs and other debris that the volunteers piled for future burning. 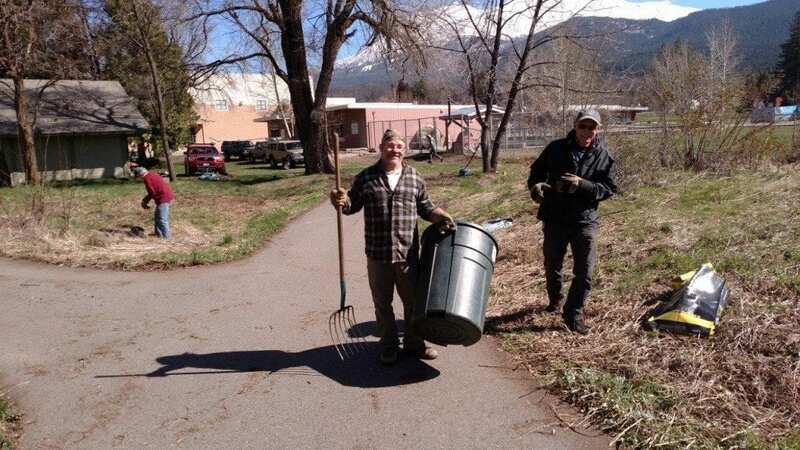 The paved walkways were also cleaned of leaves, debris and encroaching brush and vines were cut back. Enjoy!